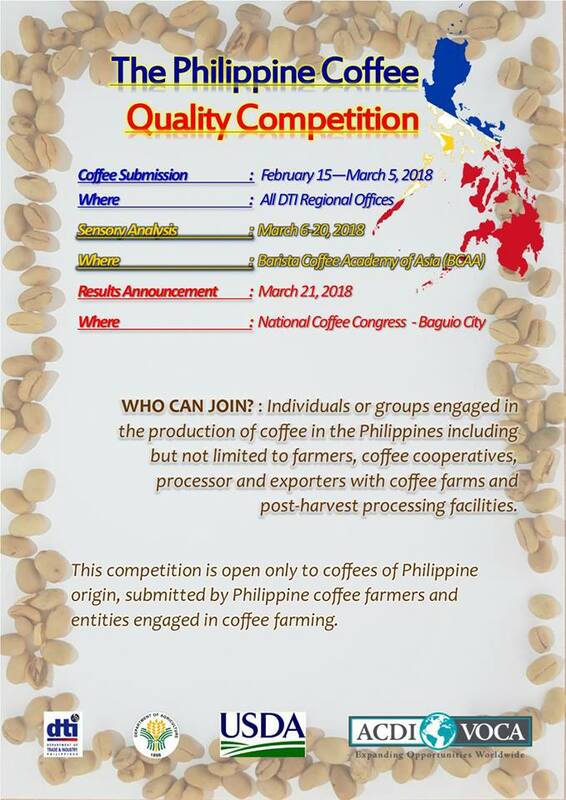 Calling all Filipino coffee farmers, processors and cooperatives engaged in the production of coffee! 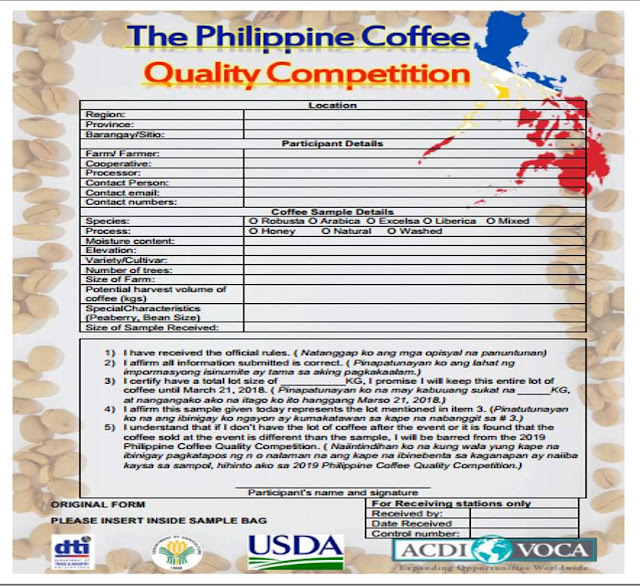 Join the 2nd Philippine Coffee Quality Competition - Arabica and Robusta. 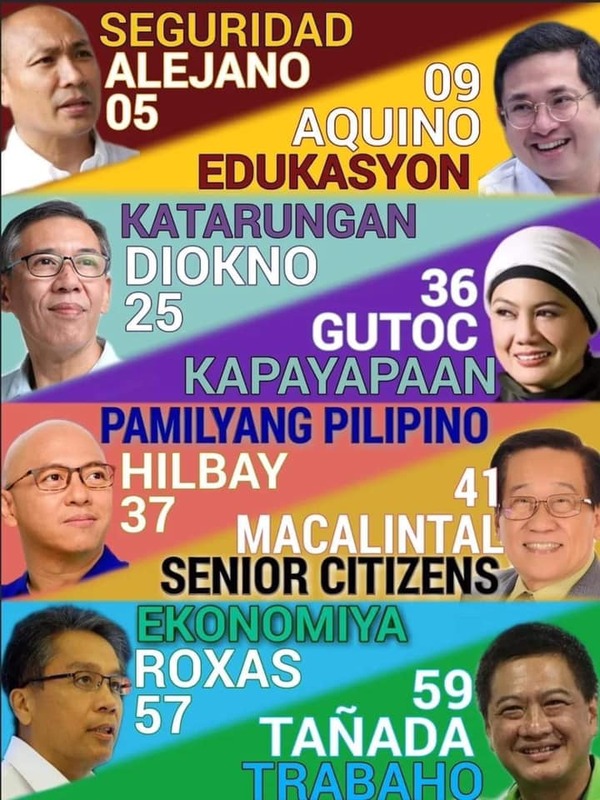 Open only for coffees of Philippine Origin. 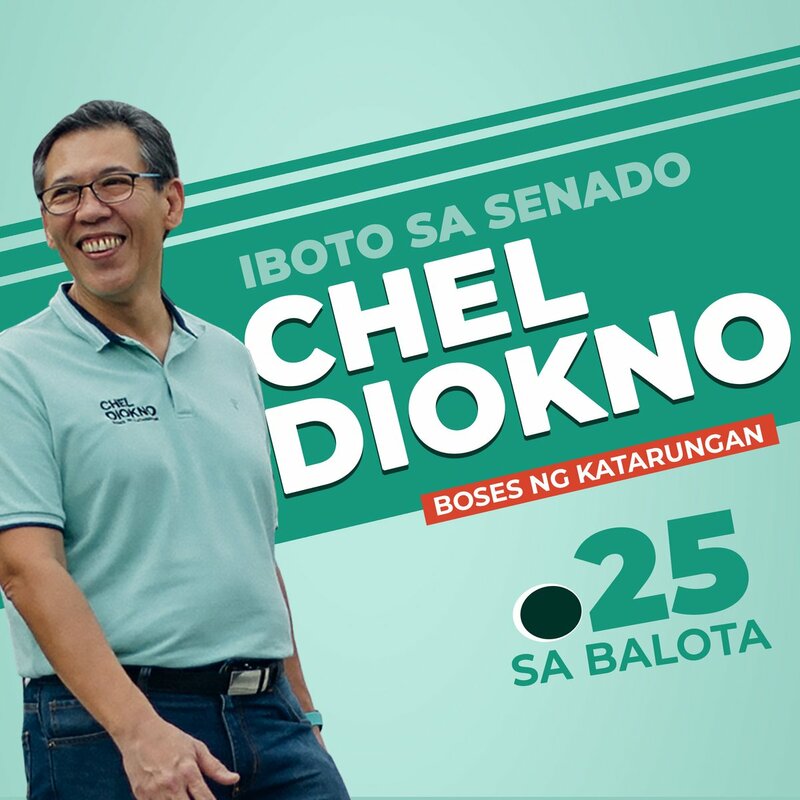 Anyone engaged in the Production of coffee in the Philippines including but not limited to coffee cooperatives, farmers, processor and exporters who have coffee farms and post harvest facilities. Competition is open to the first 100 samples received on first-come, first-served basis. 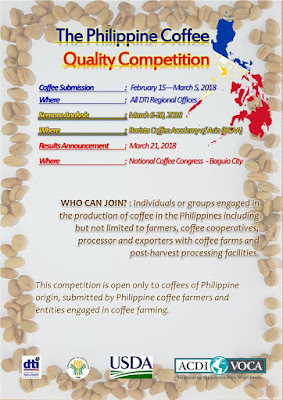 The objective of this competition is to slowly elevate Philippine Coffee to Specialty Coffee level, and eventually put the country in the Global Coffee map. 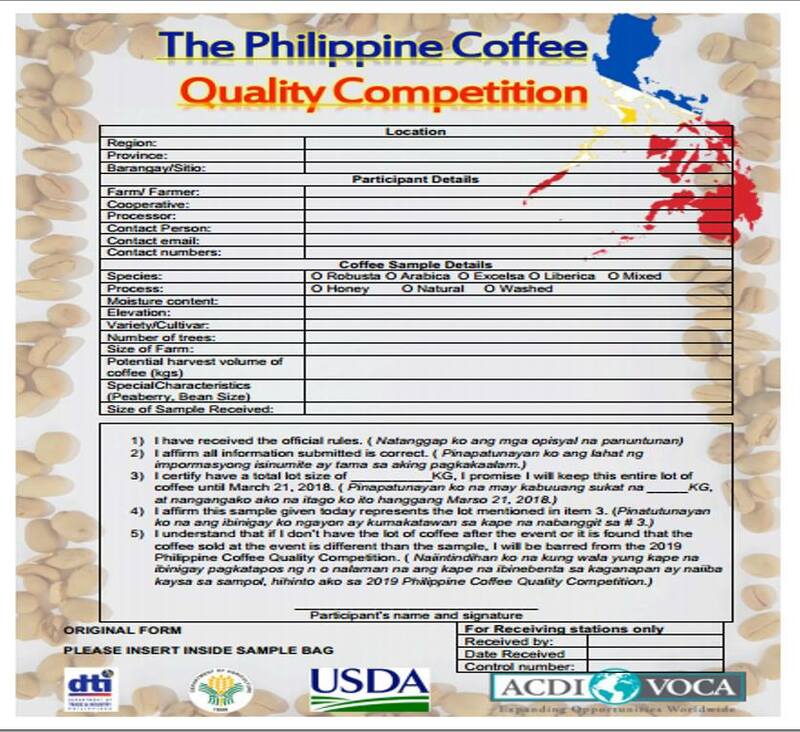 For inquiries, and more info, pleas visit Philippine Coffee Quality Competition on Facebook.